Accurate pattern and pretty good quality silk but the tie's dimensions do not appear to be correct. 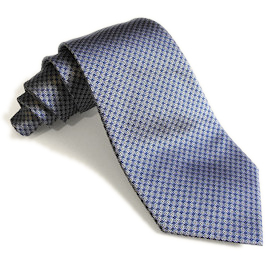 Most of the tie is very narrow and then it broadens out wider to a standard width. This gives it the appearance of an arrow or a kite. I have never seen a tie shaped like this and it certainly does not match the shape of the tie seen in the movie. I would steer clear of this one unless the dimensions are corrected. A disapointment as Magnoli's other ties are quite nice.